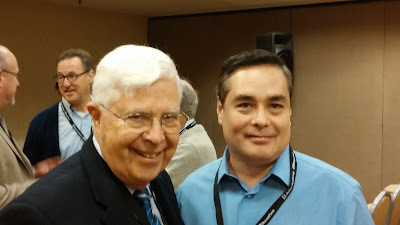 at the recent Dallas Theological Seminary alumni breakfast at the Evangelical Theological Society. 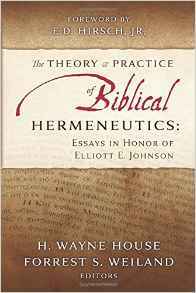 The volume entitled, The Theory and Practice of Biblical Hermeneutics: Essays in Honor of Elliott E. Johnson. The volume consists of an introduction by E. D. Hirsch and seventeen essays from Walter Kaiser, Norm Geisler, and others. This work is also one of the new offerings of a publishing venture led by H. Wayne House called Lampion Press. Here is a picture of Dr. Johnson and me at the breakfast. Thanks for mentioning this. I wish I could have been there to honor Dr. Johnson. 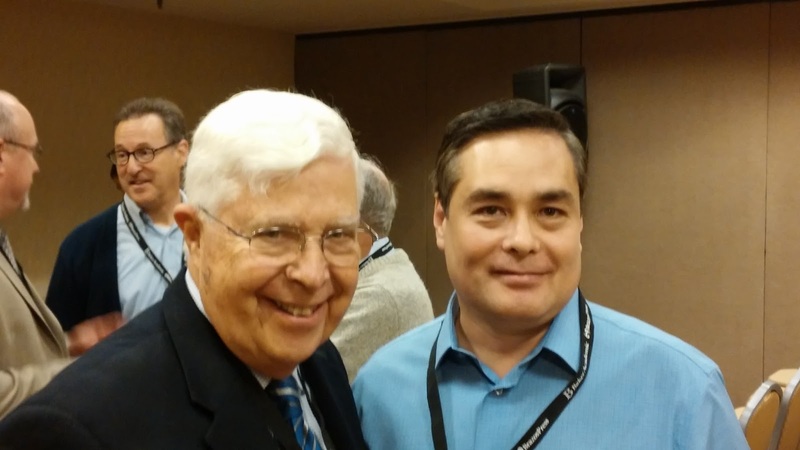 It was great to see you at the DTS breakfast and celebration of Elliott Johnson. Many blessings to your ministry.